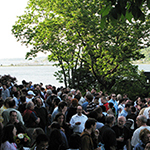 We are pleased to host the 82nd Cold Spring Harbor Symposium which will focus on Chromosome Segregation & Structure and will address the enormous progress in our understanding of chromosome segregation, dynamics and stability, a topic not addressed at a CSHL Symposium for many years. The Symposium will begin at 7:30 pm on Wednesday May 31st, and end on Sunday evening, with normal departures on Monday June 5th. The Symposium will include nine oral sessions (invited speakers only) and two poster sessions covering the latest research in diverse areas of Chromosome Segregation & Structure. The annual Dorcas Cummings lecture will take place on Saturday, June 3rd. 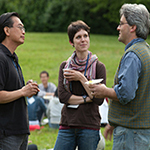 Social events throughout the Symposium provide ample opportunity for informal interactions and will include a wine-and-cheese party, a beach picnic, cocktails and banquet, and departure brunch on Monday June 5th. 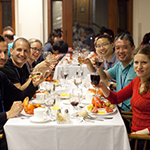 This conference is supported in part by funds provided by CSHL's Corporate Sponsor Program. 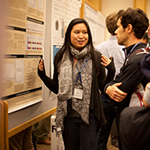 Financial aid may be available for students, postdocs, and scientists at all career levels who are from U.S. minority groups underrepresented in the life sciences. Please apply in writing via email to Val Pakaluk and state your financial needs. Preference will be given to those who submit abstracts. The designated hashtag for this meeting is #cshlsymp17. Note that you must obtain permission from an individual presenter before live-tweeting or discussing his/her talk, poster, or research results on social media. Click the Policies tab above to see our full Confidentiality & Reporting Policy.